It's only 849 characters. We strongly recommend writing at least 1.000 characters. Use content that makes your app unique (features description, characteristics, how to use your app, ...). Your description needs to convince people to download your app. Also, be sure to add important and relevant keywords in your description to improve your iTunes app page and optimize your SEO. Your app's last version was released on August 12, 2014. It is important to regularly update your app. Best practices recommend to update your app every 4 to 6 weeks. This means fixing reported bugs, improving existing features, launching new features etc. Keep an eye on users' feedback. The next great features may already be asked by many users. The RCCG hymn book is a careful complication of choice hymns to be rendered from the depths of our hearts to minister to the Lord. The Bible admonishes us in Ephesians 5:19 to speak to ourselves in psalms, hymns and spiritual songs, singing and making melody in our hearts to the Lord. A hymn usually includes a call to the congregation to join in praise (Ps. 33:1-3), a list of reasons to praise God (Ps. 33:4-19), and a concluding call to praise or statement of trust (Ps. 33:20-22). These hymns to take us to the presence of God anytime we sing them, even as we meditate on His wondrous works to the glory of His Holy name. 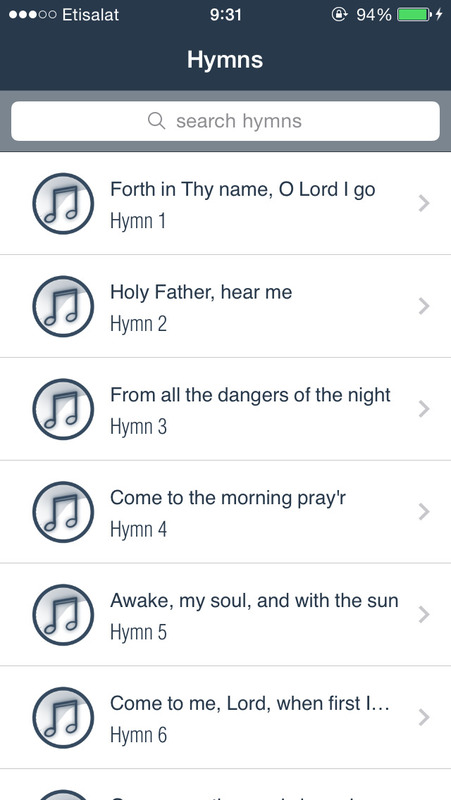 Today, the hymnal is known as the companion to the Bible because hymns play a part in Christian life. As you sing, praise and worship to God in hymns, may He take care of every situation of your life, in Jesus’ Name.